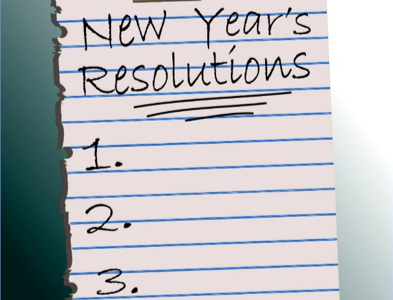 New Year resolutions – goals or habits? » Uncategorized » New Year resolutions – goals or habits? With every New Year comes the temptation to set some resolutions and, for many years, I diligently made a list of outcomes I was striving to achieve over the next 12 months. However, I would usually find myself at the beginning of the next year dusting off the previous list before writing a new version (can you relate?) with variable degrees of success. 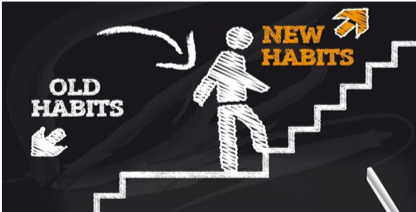 In the past few years, I noticed that I achieved my goals when I managed to establish new habits. When I focus on changing one habit at at time I make changes which in turn deliver the end goal and become embedded in my daily life and therefore last a lifetime. This has been true in terms of health, money, career and relationships! In respect of waste reduction, it has been tempting to set goals like “I will generate less than 1kg of landfill each month” but this does not always translate to specific actions or help with decision making in the heat of the moment. I have found that habits that make everyday decisions easier to reduce waste have more impact. It IS sometimes cheaper or more convenient to buy something close to hand, wrapped in plastic but that is where changing your habits makes the difference. Instead of calling into the supermarket on the way home from work at the last minute, we now do a menu plan for the week ahead and schedule in time for shopping trips to buy low-waste alternatives. Once we had done this a few times and got into a rhythm with the new habit, the prepackaged items were no longer a temptation! We still struggle to find alternatives to a few everyday items such as milk and yoghurt as well as some treats such as chips/cheezles (I know, right!) but, overall, I am pleased with our progress. By changing our habits rather than focussing on the outcomes, our family has seen dramatic reductions in what goes into both our landfill and recycling bins and, once a habit becomes ‘normal’, we can avoid slipping back to the old behaviours that used to created waste. Can you relate? What habits have worked for your household? Well done with your family’s changes and the effect the Wasteless Pantry is having on people’s habits. I recently heard a good piece of advice “Don’t make a Wishlist, make a checklist “ . This is our New Years Resolution. I am so happy to see the number of “where do they go” items that you are taking, we will be adding some collection boxes for them. I love that piece of advice! Many thanks Amelia for giving us an insight into the changes that you are making. These will be making a difference for the whole world, not just yours.